You have received a call to a tower. The guy you meet there is not very happy just to see you. He thinks he needs a team. Little does he know how effective you are. Follow his instructions and do what you do best. Then get to the roof and escape. 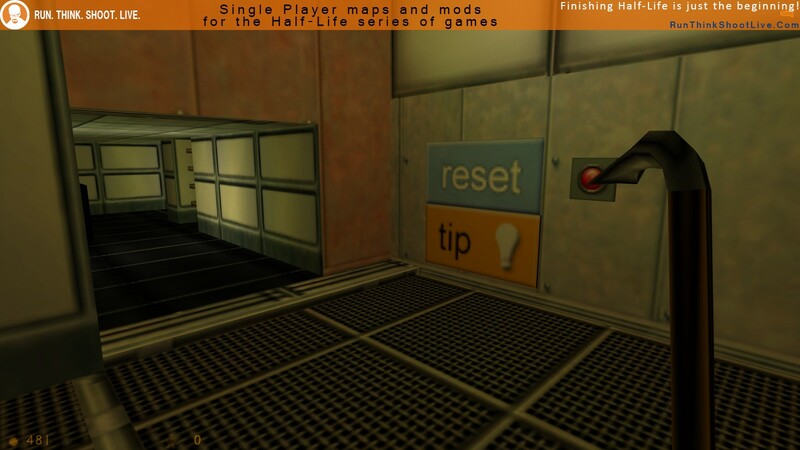 Copy the twhltower folder into your …\Steam\SteamApps\common\Half-Life folder. TWHL Tower should now be listed in your Library tab. Statistics based on 22 comment(s) with meta review data. 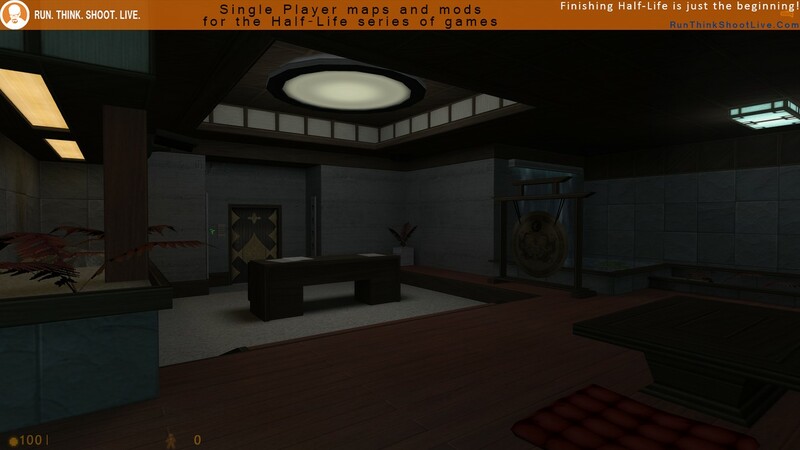 This is a pretty well done collab, most of the maps really have a very great looking office architecture to it, with the golden one being the stealth based one. Puzzles in this mod aren’t too difficult, a few searches here, a gauss jump there, overall not too frustrating. Some maps did lagged my computer a bit, with the one that troubles me the most being the area where you’re hunted down by jef_lasiter.mdl since it was so laggy, but i think it was just my computer being weak. In Hard mode, combat was arse, the really closed up space and the lack of ammunition/powerup really puts a dent in my progress a couple of times. 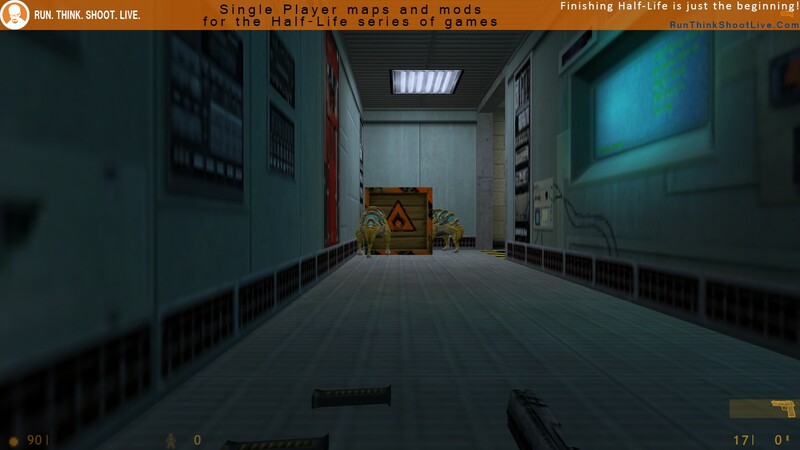 I even had to run from a lot of enemies, leaving them in levels (so much as the cleanup “team”, am i right?). Giving me a 9mmAR and glass for cover against the 2 hgrunts (one of which carries a shotgun) was probably one of my most frustrating moments in this mod along with the other one being the roof (reminds me of SoF II’s hospital roof, terrible memories). The health charger cans was pretty helpful though. 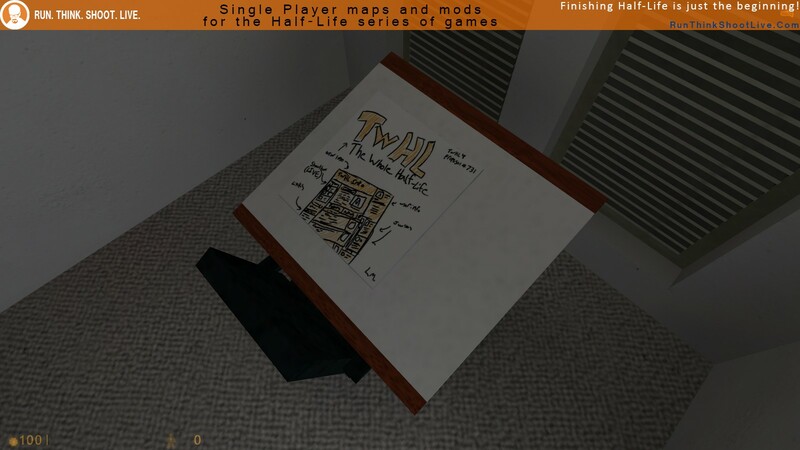 A crash unfortunately was inevitable, with the one i encountered asking for a missing “valve/models/metalplategibs.mdl”, turns out i literally have to make a valve folder inside the twhltower mod folder and copy over the metalplategibs.mdl itself over to get through. Not sure if it’s just me though. I also noticed the 9mmAR having the BS/OP4’s problem of the old “sped up idle animation with no muzzleflash event named deploy” as one of the shooting sequences. The starting NPC (dearest urby.mdl) doing a sudden 180 turn was a bit hillarious. Still though, the mod overall is a fun experience that i do recommend everyone to atleast try. Did you submit your status report to the administrator today? Btw, compliments to NineTNine for the additional horrible flashbacks to Quantum Leap’s Doughnuts. The last floor was very impressive. I’d enjoy a full mod like that, with expanded gameplay of course. 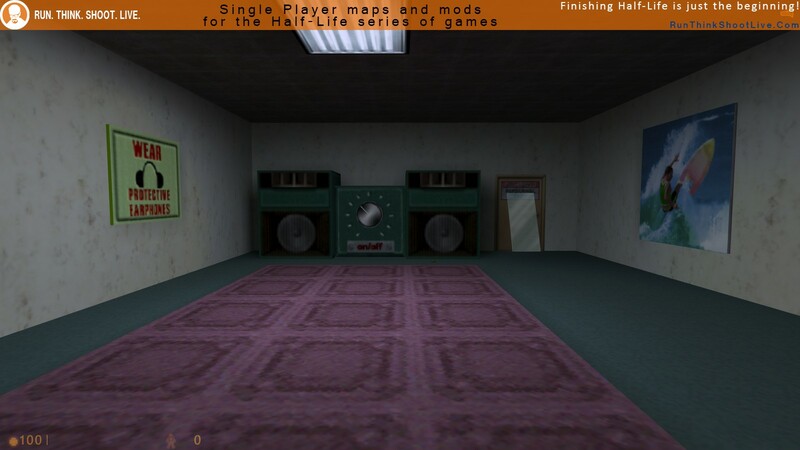 I can’t go any further in the room after image 27, is this what ZikShadow is referring to. 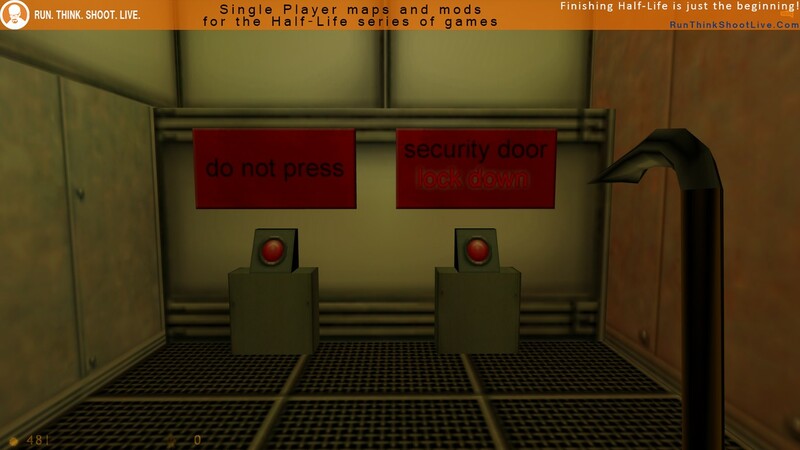 I’ve tried every combination of hitting red button(s), Reset, Tip, running back through the temporarily raised grates, jumping etc., at least 70 tries overall. 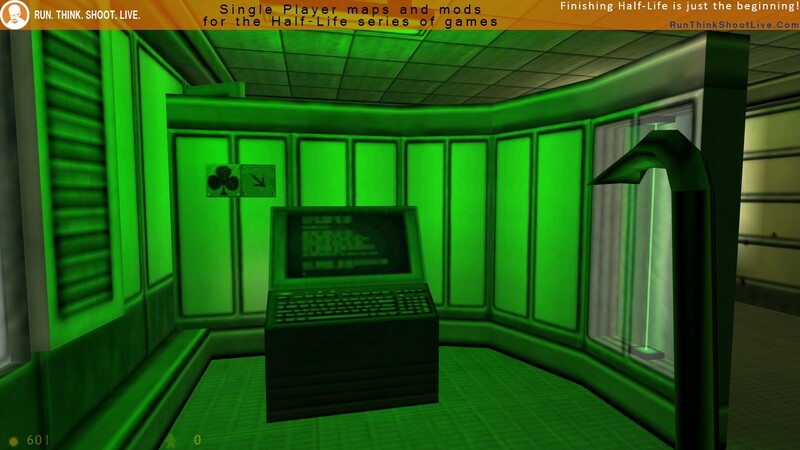 In the following room to that screen shot, the green light does not stay, it turns red and the door won’t open. Once, somehow, I managed to reach it while still green (usually it turns red before getting into the room, just guessing from the sounds that it had turned green) but the door opened with a platform above me when in crouch position, nothing moved, then shortly after an invisible moving ‘something’ crushed me. Too bad, up until then I was really enjoying this mod. Anyone else experience this? In order to get past the green puzzle, you have to NOT touch the floor that’s not blue. In order to get past the crushing ceiling, pay an EXTREMELY close attention to the floor. Seriously though, most puzzles in this mod are pretty fine, but you need to really pay attention to things and have a bit of HL knowledge, particularly in the time room (gauss jump). Thanks. The color shading differential was so little, ie; opposite from the colors elsewhere in this map, I never would have figured it out. An obvious problem, so its too bad the mapper wouldn’t listen. I apologise for the ‘puzzles’ on that floor. The author of the floor in question was not one to take criticism well… I did what I could to make it a little less awful, but apparently it wasn’t enough. A good little HL mod! There were quite a few interesting puzzles and I only got stuck once by the laser gun. Luckily I watched Phillip’s recording to get past that. 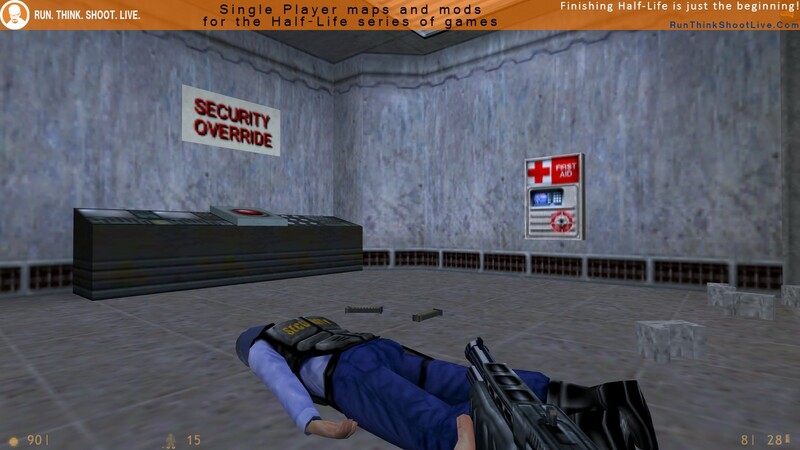 The status report and stealth levels were my favorite. 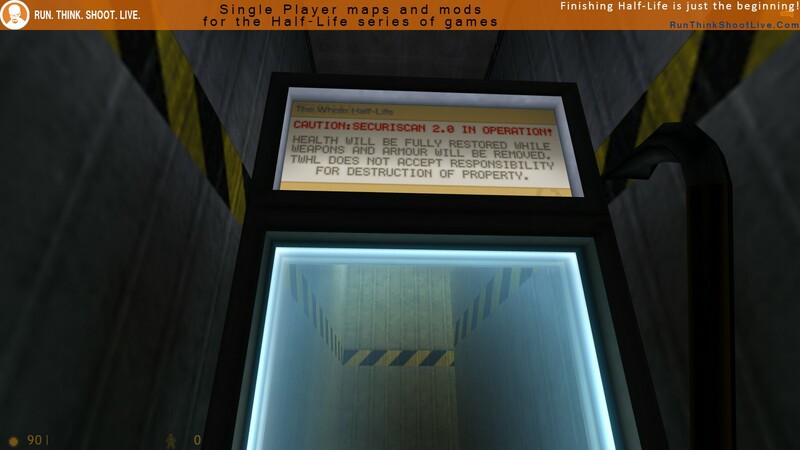 I also liked the reset mechanism in between floors as it makes each level a completely new challenge. The funniest part – “This is why we can’t have nice things – Bossman”. 😀 Thanks! That was my map. I was totally distracted during the making of this and I had wanted the player to figure out what to do via notes scattered about the office. I had to simplify it quite a bit to make the submission deadline. TWHL Tower is a very interesting mod, the mod is separated in different levels, or floors, each with a completely different type of gameplay, like puzzle, action, stealth and platforming, every single one of the floors is very differently themed and all have a interesting quirk to it. All of the floors were very well made but all of them felt too short, none of them really left an mark for me because of that, and the gameplay in some of these floors may feel unclear or a little fiddly, like the use of different lighting on the ground to indicate a path but it being far too hard to see, and sometimes buggy, one case of a bug that I found was me being able to consistently go through laser without being killed. 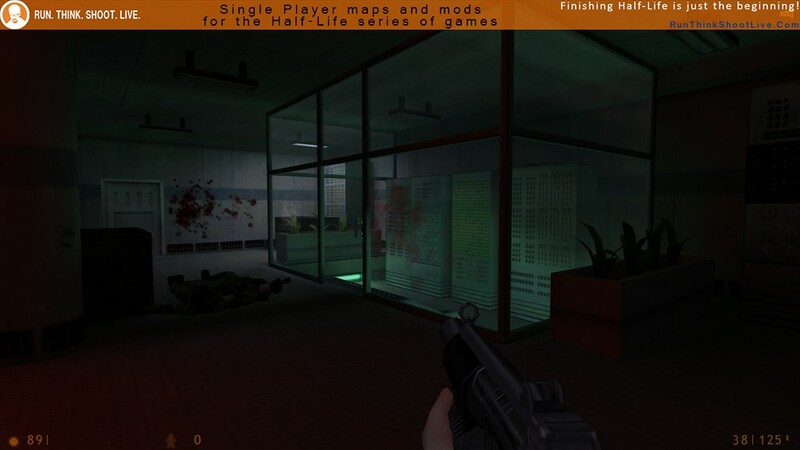 It’s overall an very interesting mod that could use some work, a lot of it I’m sure is more fault of the GoldSource Engine and the quirks in the original Half-Life but some better Map Design and more clear objectives would help. I sure would like a full stealth mod in the spirit of the stealth floor, with some changes. Well a new hl1 release and possibly the first decent one in 2016. This map pack contains lovely looking maps with various different game play. Though while nice to look at I believe the actual game play itself isn’t that spectacular. Also of course it was a mapper compilation so this mod follows no major story plot. But for a 2016 release I clearly expected more of this especially considering that some of the top remaining hl1 mappers were involved in this. Never the less it’s still nice and provides some entertainment. So I’d say play it later. So frustrating. Figured I’d ask before deleting this mod. My next seemingly insurmountable problem, floor 8, lasers blocking the way. Why is this mod the way it is, what’s the benefit of hiding a way forward so much. I’ve watch Phillip’s video many times, after tried to figure it out myself. Watching the video carefully I see Phillip was about to curse the maker and throw in the towel, but got some audio instructions through his headphones. How can other players expect to get the same….. Anyway I can’t seem to jump as in the video, have tried every combination of laser gun mouse buttons including holding to build energy, ctrl, space, s movement backwards etc. 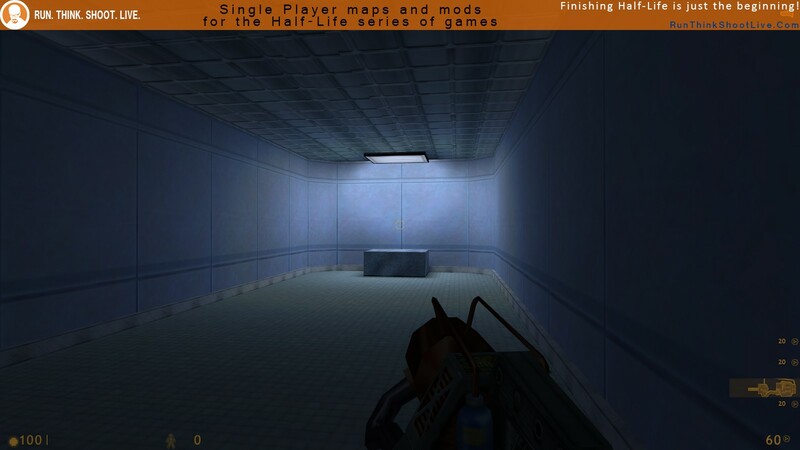 I am well familiar with the mechanic from another mod with the gravity gun, and had no problems that time. And this raises the obvious question about the accuracy of the rating system. Lets say 100 people try the mod and 90 quit out of anger/frustration before completing the mod. Lets say 10 give it an average rating of PIN. Is the rating accurate? You know how I’d rate this mod right now, but its not allowed as I haven’t completed it. I have to say that after I got to the floor with the “reset” buttons after the incredibly laggy prior rooms, I’ve given up. If what I have to look forward to is even more extremely frustrating levels with poor design even if there’s a “payoff” somewhere along the way I’m afraid this mod won’t be for me. 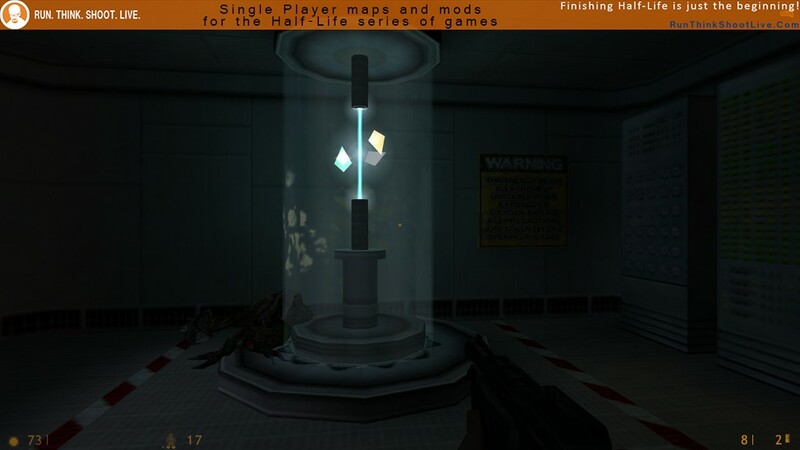 It had a lot of promise, but if the puzzles could be cleaned into shape and made so that people could actually both figure out what to do AND be able to do that thing in a reasonable time frame, that’d be the only way I would go back to it. Sorry guys. It looked awesome at first, but … disappointing and too difficult. I’d like to apologise for the issues some people are facing with this mod. There are a couple of issues that I am hoping to iron out in a patch in the coming weeks. The primary issues seem to be relating to a couple of floors specifically. While the floor itself has a tricky little puzzle, it seems that most people get the “Aha!” moment pretty quickly. The Gauss jump to pass the laser fence isn’t immediately obvious, but a lot of people got it eventually during playtesting. There were talks of adding a sign, which will be included in the patch. This caused some major issues in the playtesting phase and has been significantly improved upon. Things like the card suits for the first button segment were added following playtesting. The jump puzzle was made to be much easier than it was, but I know still isn’t great. The room with the crusher ceiling did not feature any form of hint on the ground and was purely trial and error. I think the *first* bits of it were quite good – exploring and finding the right places to look, the buttons (definitely with the card suits) became a goal to look for and work with. After that though… It was just randomly trying things, and *how many things do we know how to try*? The ‘gauss jump’ I don’t even know what that means. Was I meant to have a weapon I definitely do not have? Or is that in a spot after where I’ve gotten? Also… the lag. The laaaaaag in the ‘office’ areas was so impressively bad. I didn’t know that a Goldsource game could BE that laggy on a machine designed for modern – current – games. some kind of optimization process needs to be looked at for that area, it was like a slideshow. 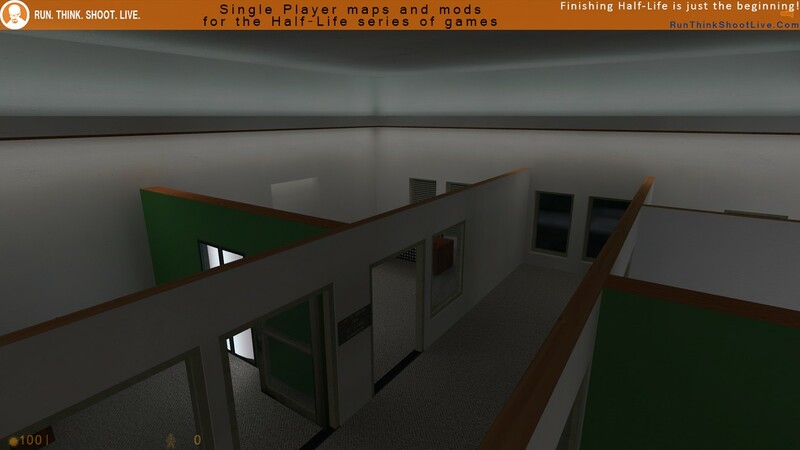 Yeah, there were a couple of mentions of lag on JeffMOD’s floor, which I never actually saw for myself until watching Phillip’s stream. I’ll be investigating that. Alot of people I saw lagged on Jeff’s floor, including me. However, playing in WON in D3D video mode gave me no lags. Another reason valve shouldn’t have removed the D3D video mode from Steam HL. Many of us don’t have any other way than Steam to play these. Having a very, very old version of the game doesn’t work for a ‘fix’ in other words. I’m still baffled as to how it lagged at all. I’ve never seen a goldsource game do that at all. It seemed like it was trying to do … something? Something that just couldn’t be done or was trying a way that my card can’t process. So yeah if there was another video 3d process that could be accessed in the steam version, that’d be a fix. I also lagged quite a bit. 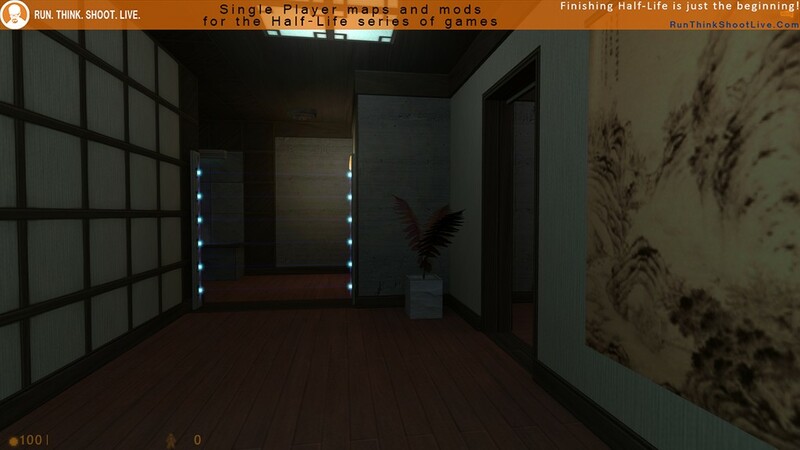 Toss some hint brushes on each doorway entrance / ceiling / expanding up to the walls. This should clear it up. I think it’s stemming from the brushwork window blinds. This is one of the best HL mods I’ve played in a long time. A range of enviroments with some puzzles and strange floors. The quality is really good. 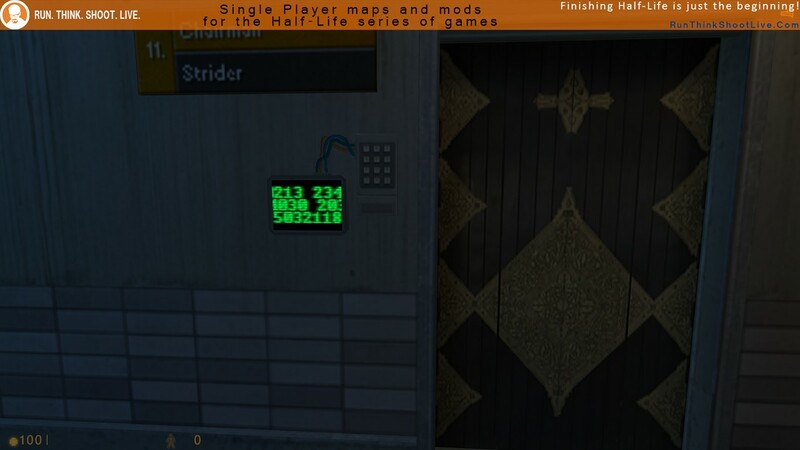 Ok, it was a funny “mappack” from some good old modder’s I’ve known since several years now, it was globally short, and the challenges were varied and fun. 1) Riddler’s Complex (Malle), interesting maze with some nice tip’s when stuck, it was various and inventive. 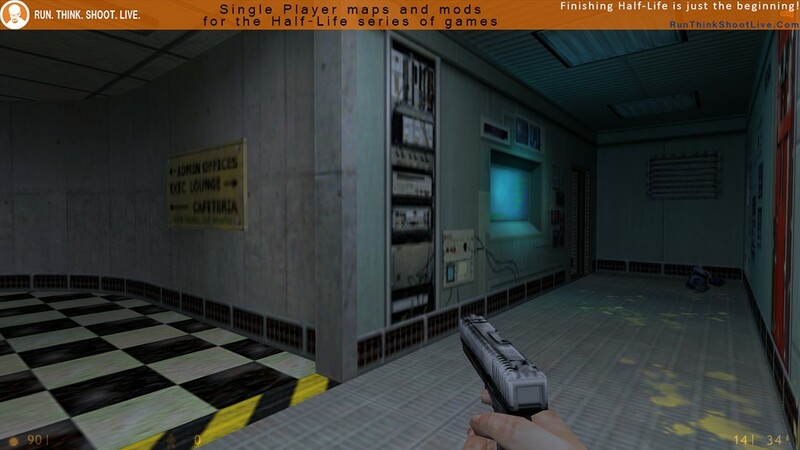 2) Chairman (Strider) : again, some nice puzzles and the use of “stealth” in an 1998 game is pretty nice. Also, the japanese design. 5) Cristalline Energy (Urby) : average challenge. 6) Roof (Urby) : a sympathetic final battle but just “classic”. 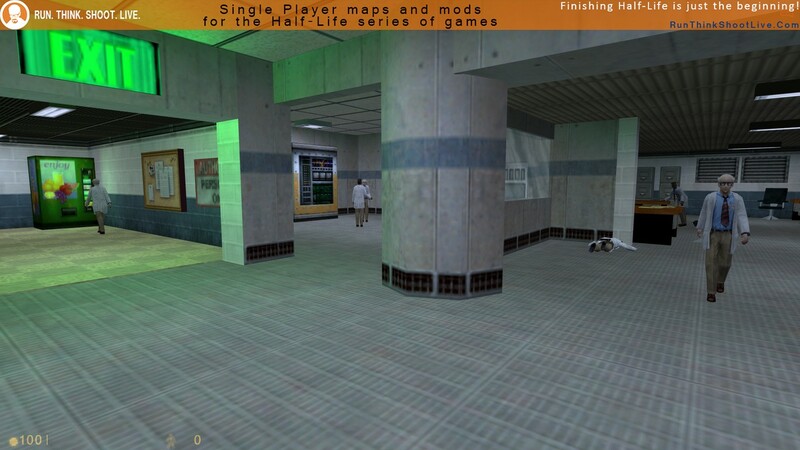 7) Recreational Area (2muchvideogames) : funny in the beginning but then it was a little boring. 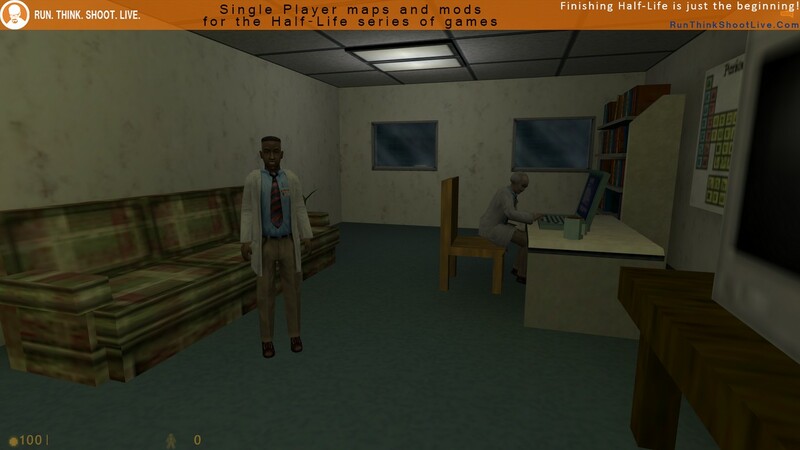 8) LAB COMPLEX (Dr Orange) : frankly, I barely remember. 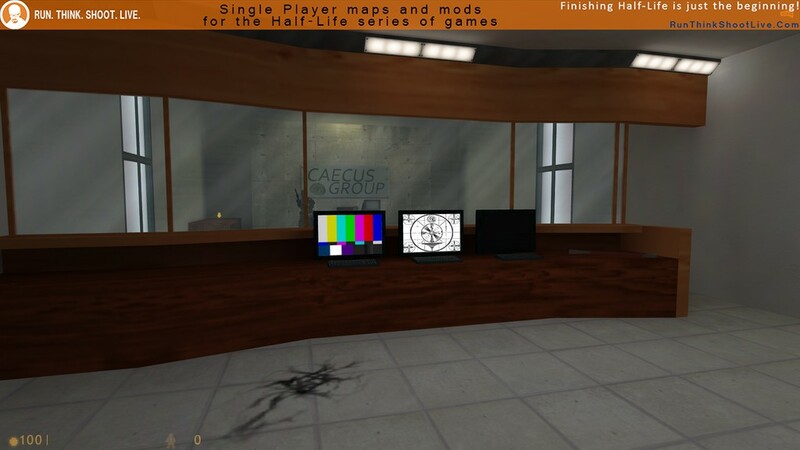 11) Rebellatrix Media (JeffMOD) : the map was cool but I quickly lost interest until the lame end. 12) Aerodynamics (TJB) : There was nothing. At all. What the hell was that?? Globally, it was a pretty cool challenge, thank you for this. A pretty solid collaborative pack of maps here. A simple idea, with pretty restrictive rules (at least on physical space allowed for each map) – executed nicely. Each floor is made by a different author, and has its own setting and layout. Some have puzzles, some combat. The maps have some ups and downs but each one has interesting things to offer. I didn’t encounter any bugs except for a dll crash upon loading one of the maps, but it worked the next time after loading my last saved game. I would have to say my favorites were Time Labs by Jessie, Upper Management by The Mighty Atom, and Chairman by Strider. Time Labs has a clever design and pretty good execution. My main complaint is the gauss jump to exit the map. 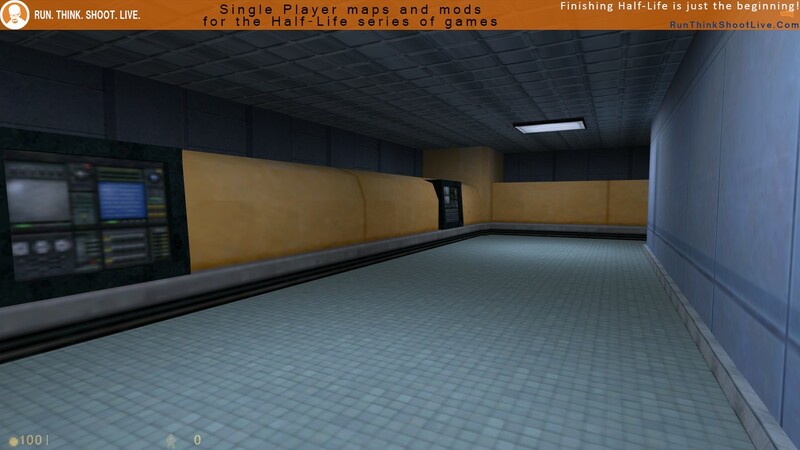 Even 18 years after Half-Life’s release I have not come across a map that required the player to gauss jump. Skill map? Sure. Multiplayer? Definitely. 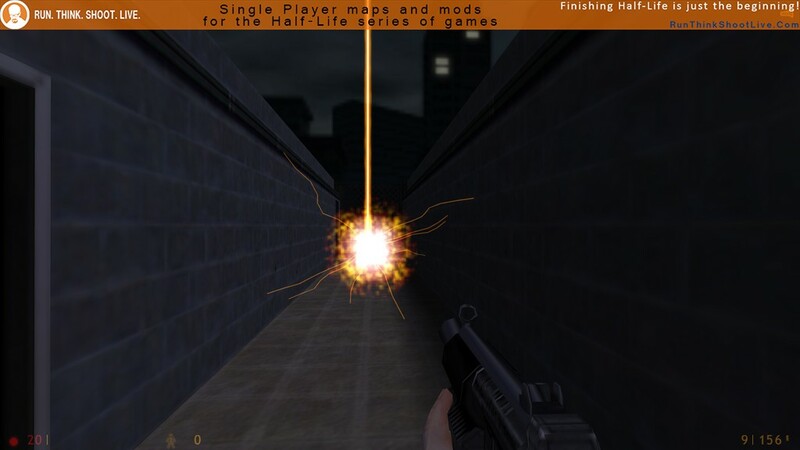 But I’d wager that less than 10% of Half-Life players know how to gauss jump in single player. A simple sign or maybe some type of explanation or easier puzzle to demonstrate it to the player is needed in my opinion. That said, I still like the idea of this map and its execution. Upper Management is a little more straightforward puzzle and combat map than Time Labs, but there’s a little more than meets the eye which is why I like it. You make your way past a couple of minor environmental puzzles to get the key card that you spot when you enter the floor – only to find out it’s only 1 of 4 key cards you need to collect. A good mix of (cramped) combat and find-the-keycard puzzles here. 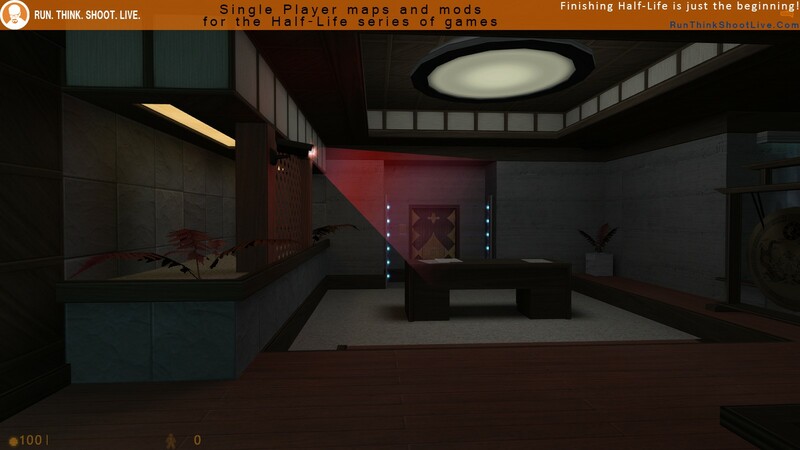 Chairman is the most visually attractive of the maps, and a good example of stealth done right in Half-Life. You have to avoid and disable camera throughout the floor. Straightforward but nicely executed, and it looks great in the process. Overall, definitely worth playing for the good examples of creative differences showcased within the given restrictions. 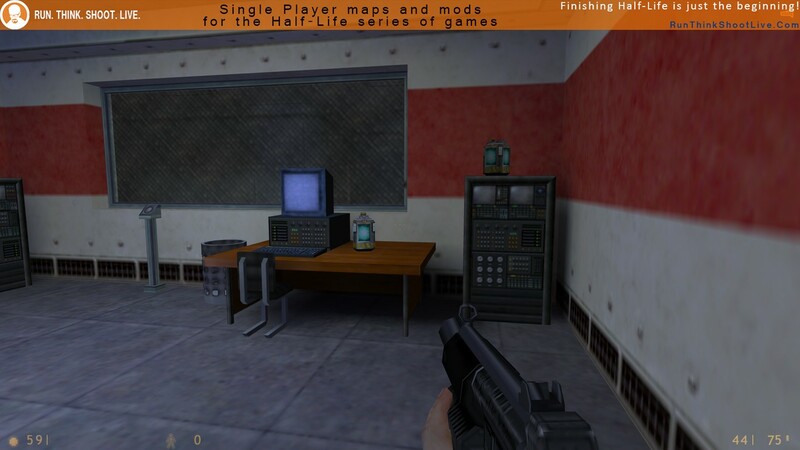 As a mapper myself, I would have loved to see more people taking advantage of what Spirit of Half-Life offers. 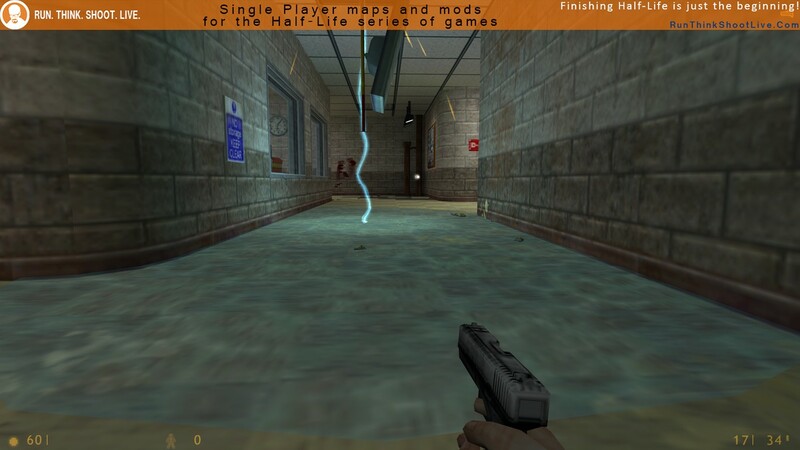 You can really bend and break the standard Half-Life rules with Spirit, and I am still hoping to be blown away some day. 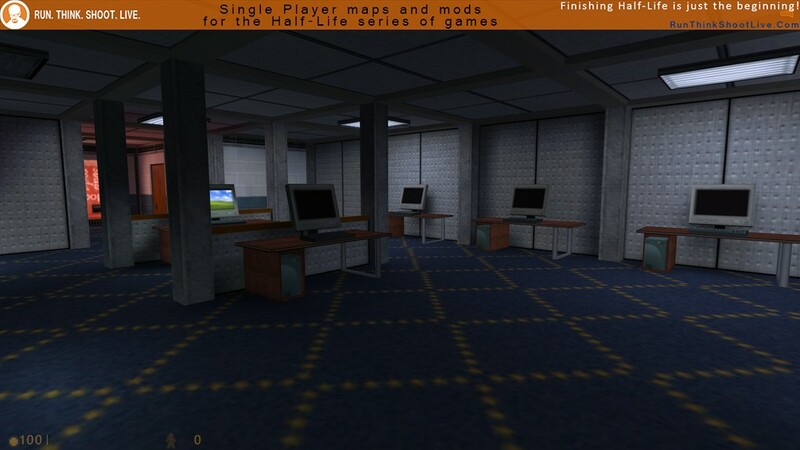 Nice to see that there are still high-quality mods released for good old HL1! – Lagging in Jeff’s map. – Is there any logic behind the crate puzzle in “Time Labs” or is this just plain trial-and-error? I really don’t see how the player could foresee the (odd) effect of moving the crate to this particular position. – Fully agree with Unq about the Gauss jump. Mods like these are really not the right place for such things – at least not without some further hints or explanations. – In its current form, the jump puzzle in Riddler’s Complex is plain stupid. Make better use of colors on the floor, drop the puzzle or drop the map. – TJB map is pointless and has basically zero gameplay. Honestly, what’s the point of such a map? NineTNine’s map is pointless, too, but at least it’s really funny. Btw, I had no problems with playing this mod using HL-WON 1.1.1.0. There was just some missing .mdl file. 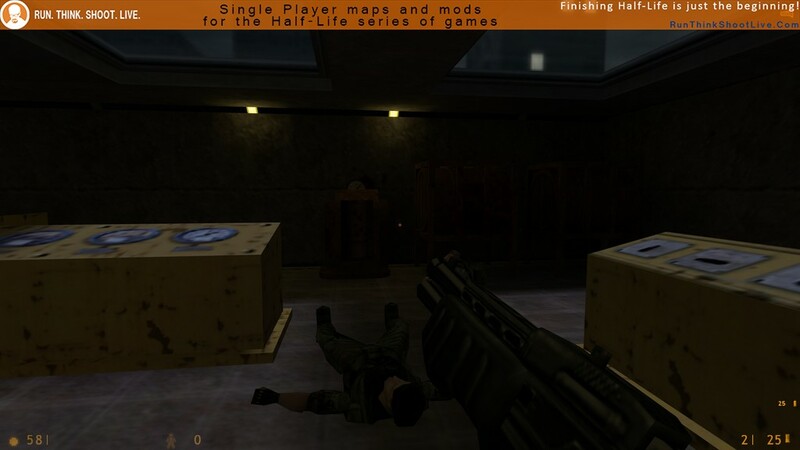 To fix this, you should add \valve\models\metalplategibs.mdl to the mod folder. The crate puzzle in Time Labs isn’t trial and error, if you realize that the crate is permanent while the rooms change as you walk around in circles. Thus in the earlier rooms you can see where you ultimately need the crate to jump on, and you just have to visualize where it needs to go when you are in the final room where you first grab the crate. Good that you had only one problem playing in WON, but I strongly disagree with your complaint about not designing for or testing the mod on WON. WON is dead, I’m sorry. 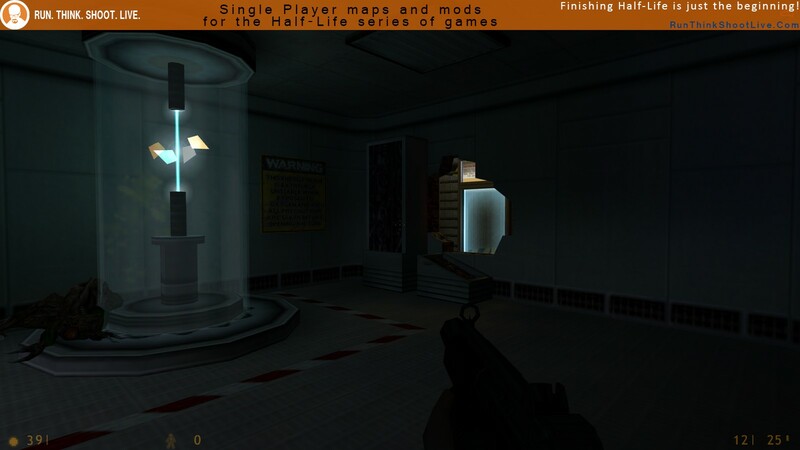 Yes, people cling to it for various reasons but Steam is the objective standard for Half-Life, even if you think otherwise. WON was fine in its day but the vast majority of the players out there are on Steam. 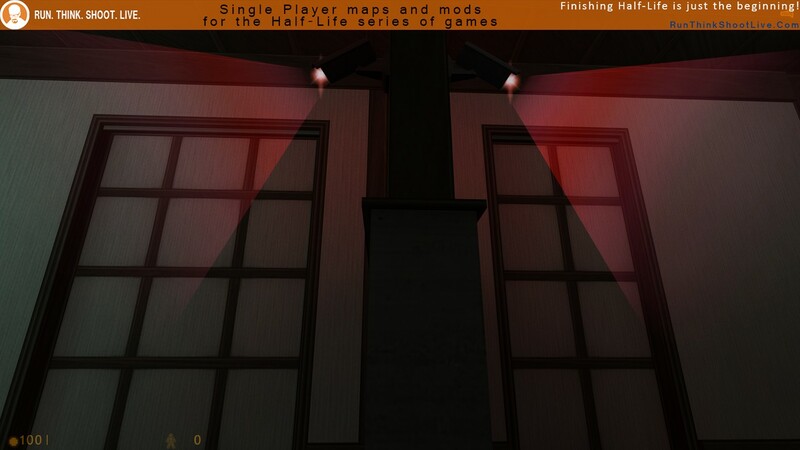 As a mapper that is what I design for as well. The game crashes and asks for a metalplategibs.mdl. I tried what ZikShadow did, but I couldn’t find this model in the mod’s files. What do you suggest? Never mind, I was an idiot. Wow. 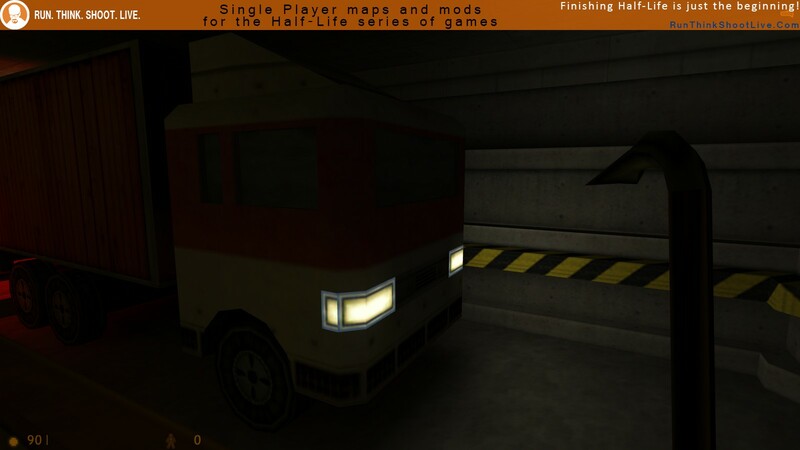 I have years to play a HL1 mod this great. 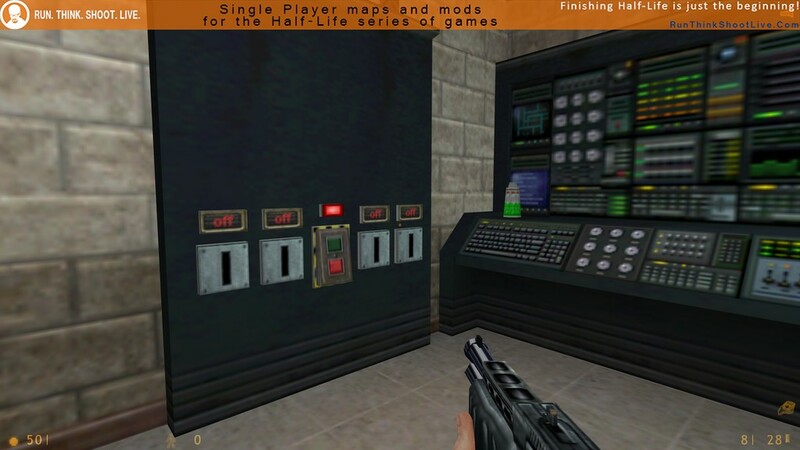 The idea of this mod is great, and the way the maps are connected is similar to PQL, Issues and ReIssues, so if you liked these mods, you’ll love this too. 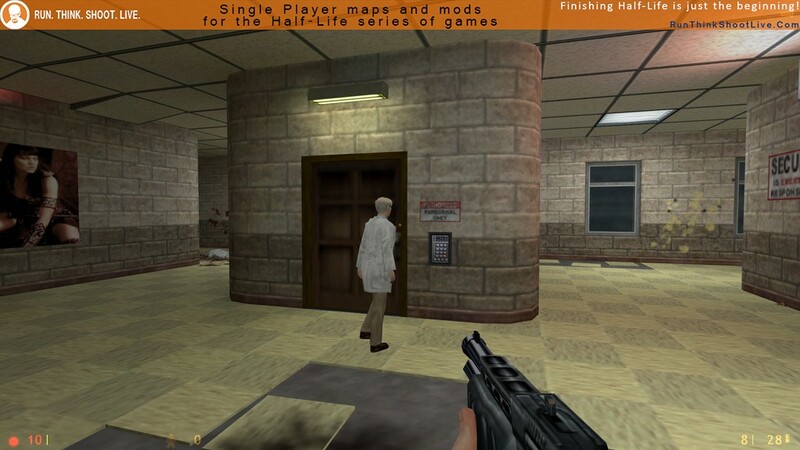 The maps were all varied, from a Vanilla-type action map to a puzzle-filled challenge. Also, the length is just right for me (50 mins). Not too long, and not too short. This would have gotten a PF from me, but I decided not to rate it that, because some of the entries, like Aerodynamics, didn’t have that much gameplay and were mostly based on running around. Apart from that though, I didn’t have any major problems. The final battle on the roof is great too. 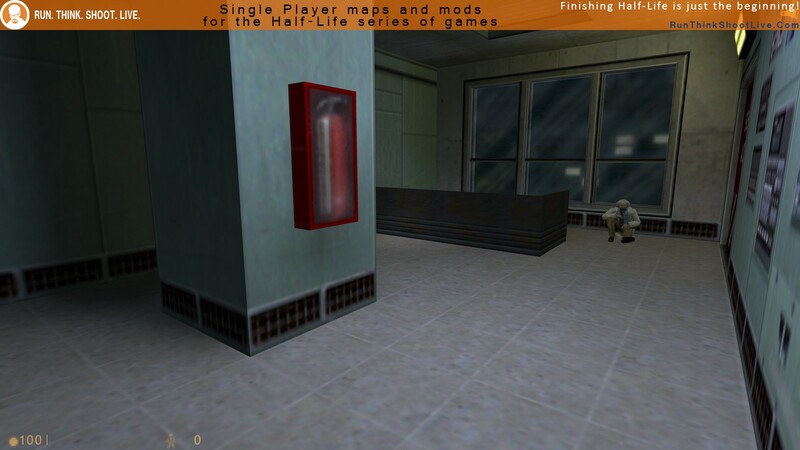 Just classic HL1 action. Overall, you should definitely play this mod. It’s great, fun and has a lot of variety, just what a great collab needs to be. The first levels, I really liked. At the time I thought it wouldn’t be that hard. Until you have to gauss jump to complete a level. Which in my opinion is kind of stupid. Otherwise the levels are fun and challenging. So, if you know how to gauss jump, be my guest. Some maps a bit laggy, however this is a recommended play. Thanks to all who contributed to this mod/map(s). So I really liked this. The idea is really good to. 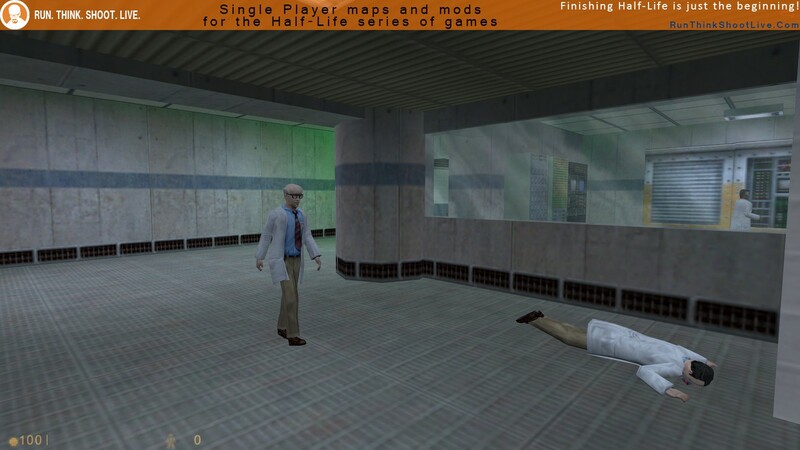 Having people design a floor each, then pasting them together to make a full mod. The only thing bad about this mod is that on one floor the game starts lagging like crazy. I don’t know what it is, the rest of the game plays on a creamy 60 FPS. I really appreciate the work that has been put in this mod and I will definitely replay this at some point. Would love to see more like this! If you just play for fun then this mod is amazing, if you want a mod that makes sense then you might want to pass on this one. 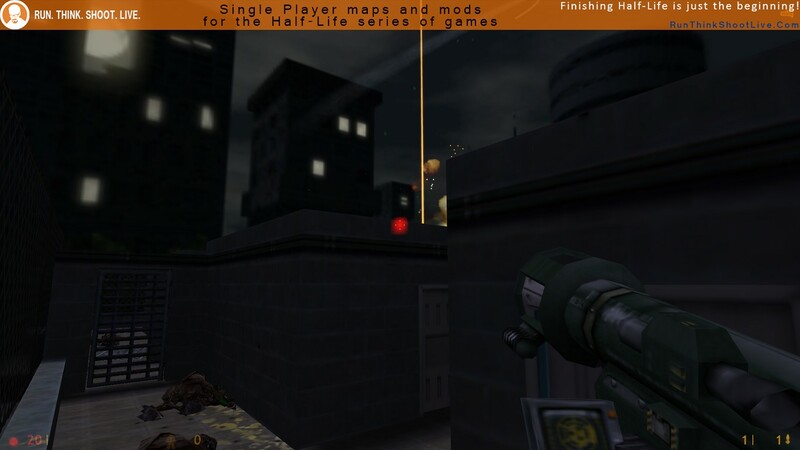 TWHL Tower is one of if not my favorite half life mod because of the absurdity of the levels. The concept is simple that different floors of this tower are given to different people to make their idea of a unique floor. What you get from this design is the most dysfunctional mess that works perfectly in every aspect of the measure. The game has the unique mechanic that after every floor is completed the game takes away all of your weapons and heals you fully getting you ready for the next level. Each floor is unique and fun to play but i did get a bit frustrated with the last floor before you get to the roof but i eventually made it through. This mod keeps you on your feet with awesome and colorful environments that just make the mod a blast to play. I was excited to see another collaboration project, I have fond memories of playing “Project Quantum Leap” and “Issues”. 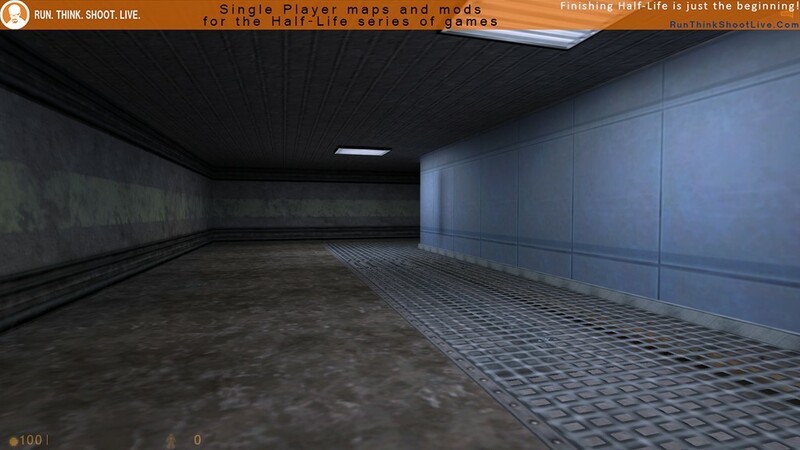 Since TWHL is a tutorial site for Half-Life mapping, it is no surprise that these maps are somewhat basic. The levels were quite frustrating. Some maps were interesting, but ‘interesting’ doesn’t translate to ‘fun’ in this instance. Half-way I had enough and quit, but I felt I had to finish it in order to give it a sincere rating. 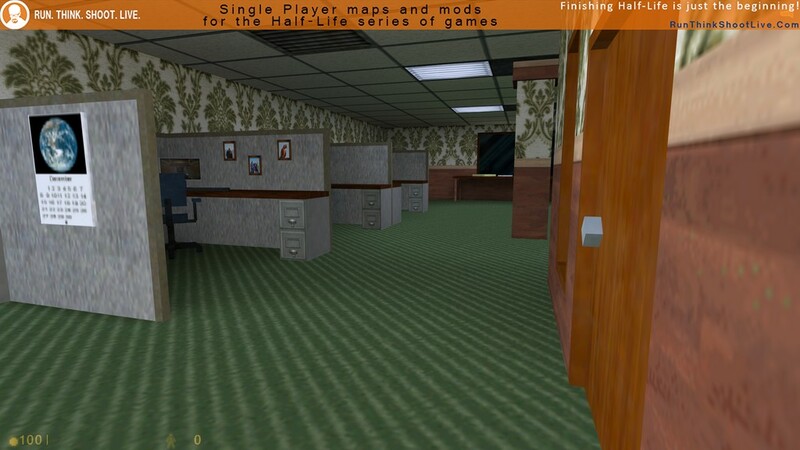 1- Rebellatrix Media: It was quite detailed and maybe that was this map’s downfall, it was pretty laggy, but good. 2- Riddler’s Complex: Puzzles were average but the ” jump on the blue colors ” puzzle was invisible for me.I just could not see it. I first thought the laser conveyor belt puzzle before that was the answer , like maybe I was supposed to touch only blue ones or something but no, it was pretty simple but pretty vague as well. 3- Aerodynamics: There was nothing to do in this but it was very detailed, especially the machine with many holes, but nevertheless it was pointless. 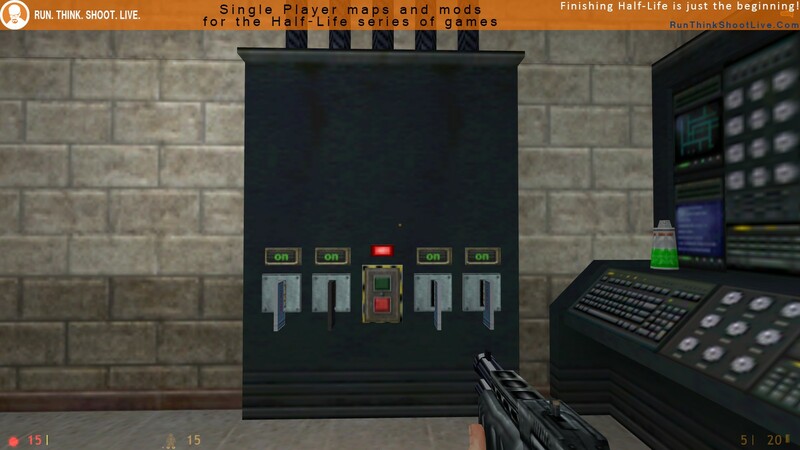 4- Upper Management: Very well made and detailed map, but can be easily exploited by pressing the door button through the wall. Aside from those it was very fun. Basic detailed maps. Good stealth. Interesting puzzles. Original Idea. It was fun to play. The Recommendation Image has been removed because for 1 hour of playtime, the review is not detailed enough to allow it. A fun map-pack but not without its flaws (if you lump them all together). A pretty challenging start to the mod. 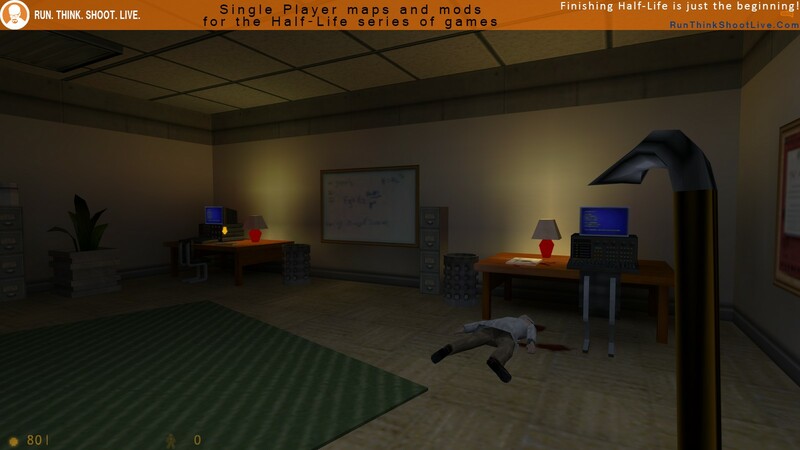 Features Headcrab ambushes and a fight with Alien Slaves while armed only with a crowbar/a handgun with limited ammo. Pleasing enough to the eye. But I’m only removing a star because the desk worker sometimes has his speech interrupted by one of the scientist’s idle lines, which is annoying and forces you to restart if you wish to hear what he says in its entirety. 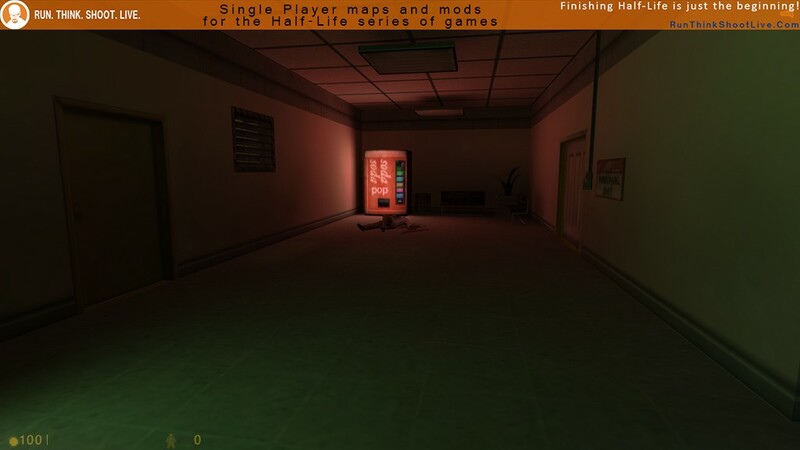 The map lacked details, and had odd map-making decisions such as making the boxes of soda cans act as health dispensers. It took me quite a while to figure out that you had to break through the curtained windows, which were not very obvious. The end sequence have you make a mad dash for the exit, since you’re clearly ill-equipped to fight off the alien ambush. I didn’t like this sudden conclusion to the map because of this. It’s a combat-oriented floor that requires quick reflexes by the player as Xen monsters try to catch them unawares, such as aliens breaking in through a wall or teleporting in almost next to them. Besides that, not very memorable. I normally prefer maps with a focus on combat, but I’d say this plot-centric one is my favorite. 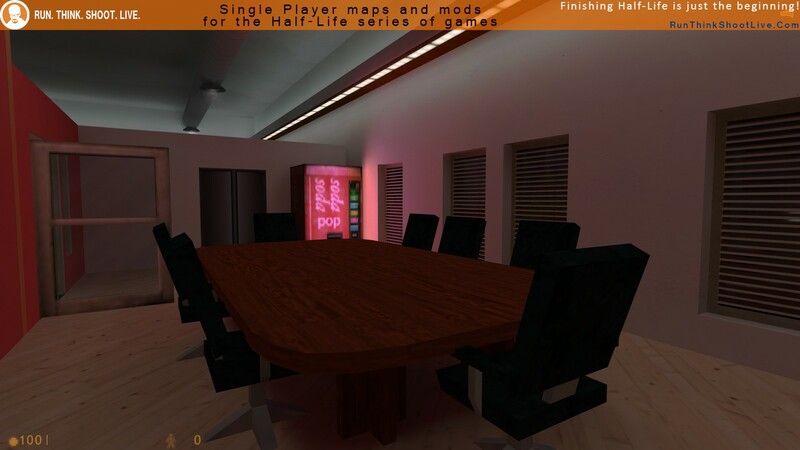 You enter a quiet office and look through the workers’ desks for clues. 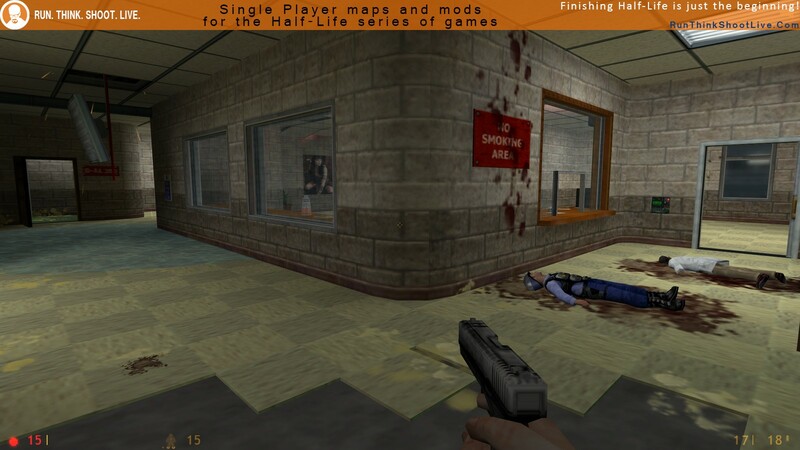 Some scary static sounds play in the cubicles next to you, and then you read disturbing notes… Then you stumble in on a SPOILER: murder scene, complete with a custom-made enemy that looks like the Demoman. Not the best map for gameplay, but memorable for its theme. Though the author might want to stop labeling his file cabinets with the duplicate texture in the future. Similar to his introductory Ground floor map, the author heavily invests on Headcrab and Alien Slave ambushes, but this time in greater numbers to wear the player down. The initial HGrunt encounter is quite challenging also, as the cover is almost non-existent (which could lead to an early death). Map detail is well done, same as the first map. Also, nice Marlowe cameo. Rating: Did you submit *your* status report to the Administrator today? A map based on environmental hazards. 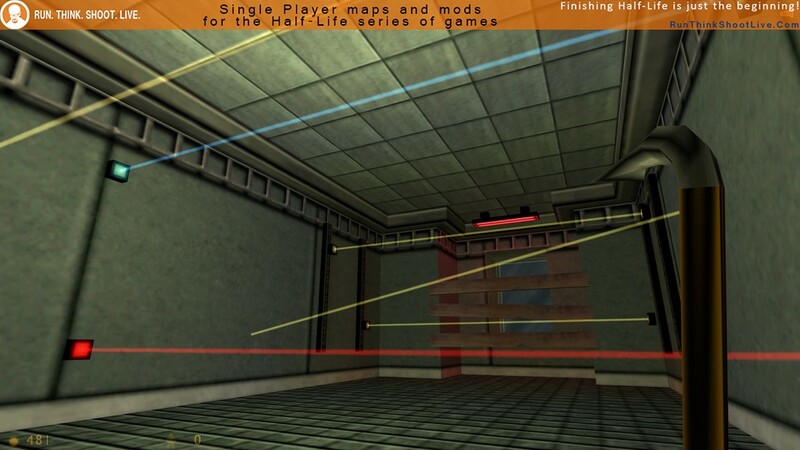 Deadly insta-kill lasers abound in one of the first rooms you come across, so rev up those Quick-Save/Quick-Load keys! The conveyor belt section however was disappointingly easy, especially after that first set of wall-mounted lasers. 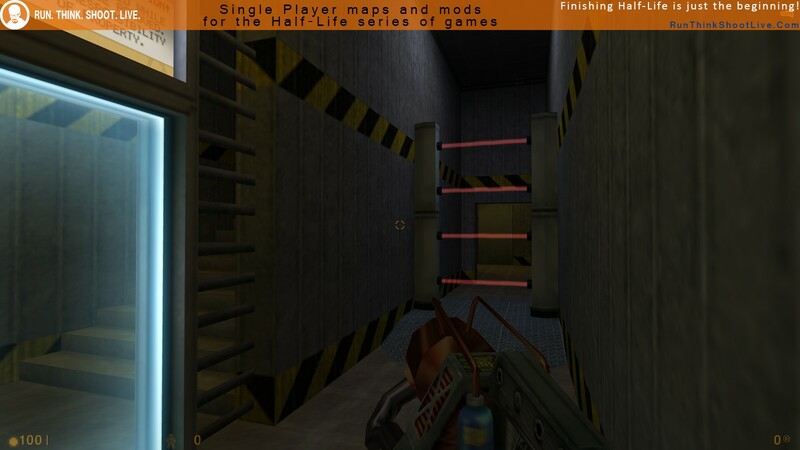 Contrary to some of the players here, I did not have a problem with any of the floor puzzles and found them quite enjoyable enough for what they were (perhaps it’s because I’m already a veteran of the Half-Quake series…). An exploration map where you try to find 3 batteries scattered around the map in order to progress. Some notes try to add a bit of storyline to the map but they wound up going nowhere. Map detailing is there, but nothing to write home about. A puzzle-solving map with no combat. Each room you enter is actually the same room, just in a different stage in time. The idea is to position a crate in the past so that it appears in the proper place in a future “timeline”. 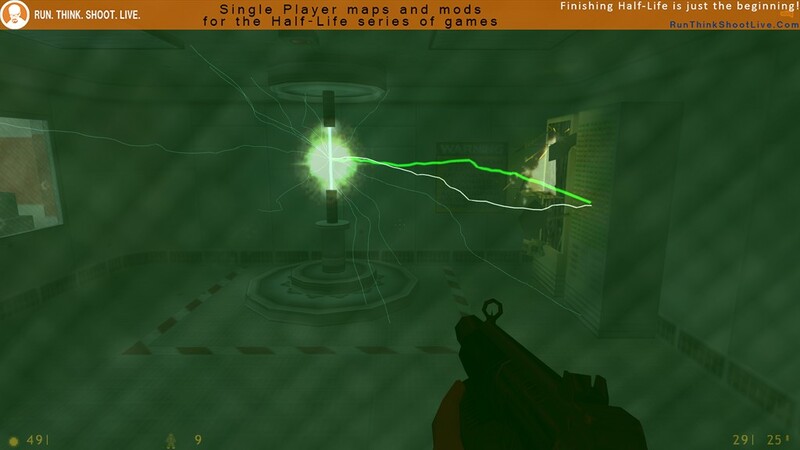 The last puzzle in the game (and a source of major headache with other people) is jumping over a laser gate with your Gauss gun. It didn’t take me too long to find this solution though. Personally, I think these are some of the techniques that people playing HLSP on a regular basis should know about. 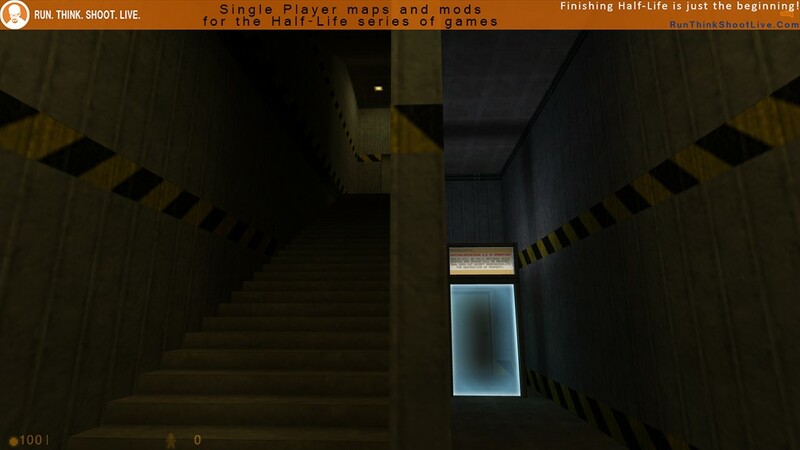 This includes other obscure things like boosting up to higher places using NPC’s heads and Tripmines as stepping platforms, for example… In any case, a fine tech demo map for Spirit of Half-Life, if anything. A decorative(?) map. No combat, no puzzle-solving. The wind tunnel machine (and the mesh at the back) is nice to look at, I guess. 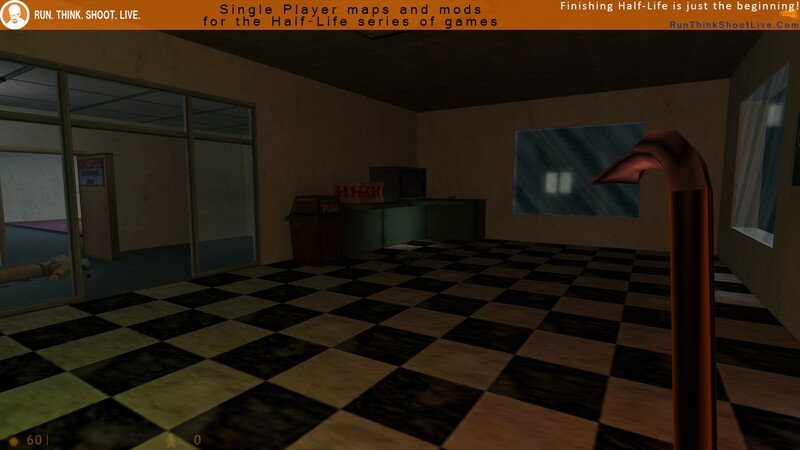 This item-hunting map is, visually-speaking, the cream of the crop of this map pack. You’ll go through a wealthy Japanese CEO’s suite, which he also seems to use to show off his 古美術品 (antique arts) collection. Unfortunately, you don’t get to steal any valuables… The map is only intent on making you avoid cameras and showing off its sweet custom textures, so no combat or storyline development for you here. Just take a moment to take in the visuals before the end of the mod. No rooftop map is complete without its own helicopter fight, and this map is meant to fill in for that role. Quite frankly, the map is not that visually appealing… It’s simply a labyrinthine concrete corridor where you go back and forth to kill HGrunts and Alien Slaves, all while avoiding an Apache. As in his other maps, the author does not give much cover for the player to play with against human enemies, and so the map can become rather difficult for less seasoned players. However, finally taking down the Apache after all the running back and forth to unlock the room leading to the RPG feels very satisfying. Overall This was a great well-assembled piece of joint work. 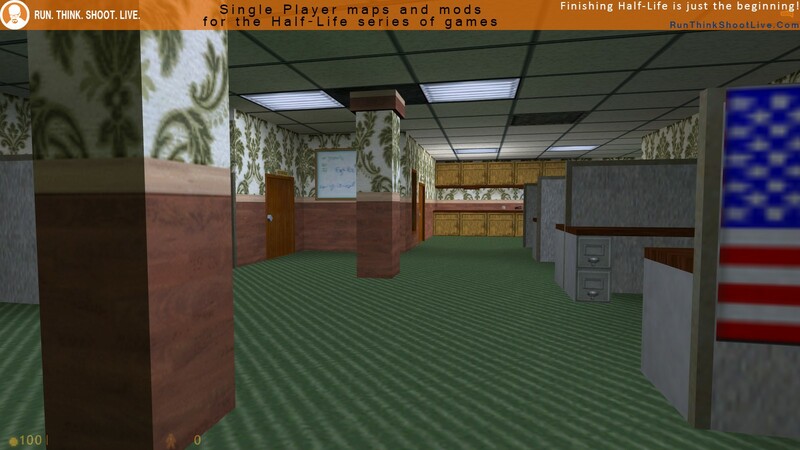 And despite every map felt unique on its own terms, The whole feeling was like actually, you were fighting your way up to the roof of a tower. Some maps were beautifully crafted visually, like that Japanese one at the end. And others had a clever old-school fetch the key dynamic. 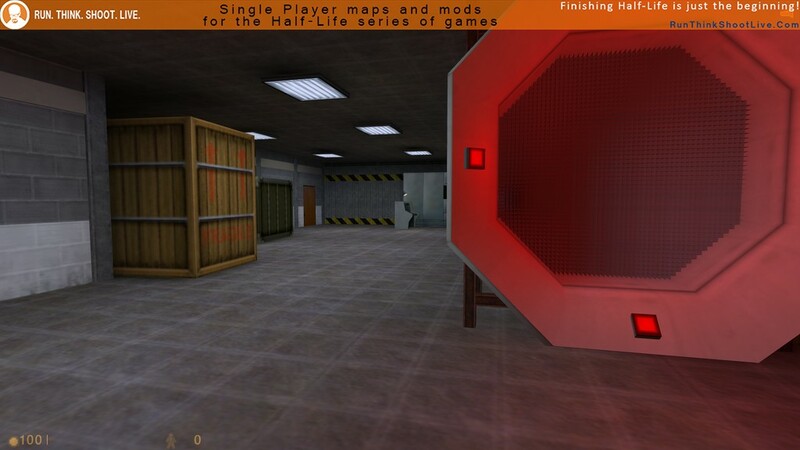 Playing This, indeed was a great rush of nostalgia, especially if you remember Project Quantum Leap great joint works. 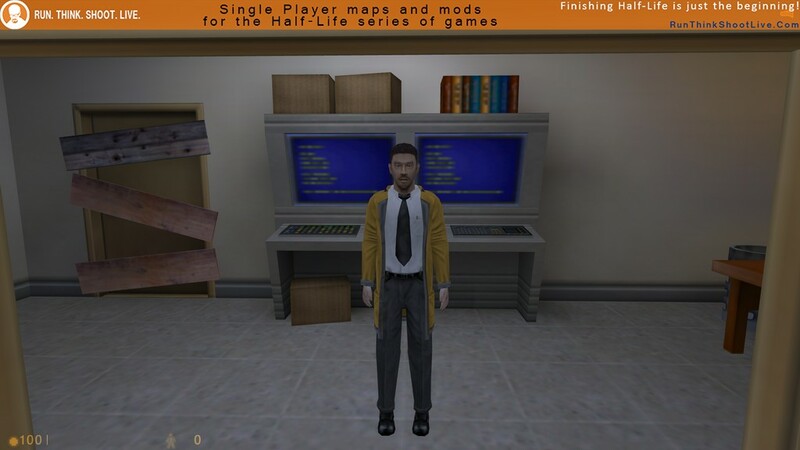 It also reminded me of the great “Night at The Office” mod. I know there’s another section it was never released which it features the basement level of the tower, which it’s called “Cenodrome”, but it was quite difficult and in my personal opinion I didn’t like it, and I feel like if it would’ve been integrated to this original project would’ve been kind of out of place. So overall, this offers a nice more than 45 min, joy, and HL old-school entertainment. So go Play it.